Past life regressions are often considered as effective therapies for overcoming fears and understanding the root cause of several problems in our lives. If you have read the books “Many Lives Many Masters” by Brian Weiss or “Journey of Souls” by Michael Newton, you would understand the purpose of the soul, reincarnation, as well as its’ journey from death to birth. We almost always hear the success stories of past life regressions but we do not hear about how difficult it is to gain a glimpse of even one life time. Most people visit a hypnotherapist for a past life regression, but this requires several sessions and may be expensive. In this article, I will share with you one of my past life experiences, the insights I have received from it, and tips on how you can induce one by yourself. About six months ago, around 6AM I had a dream. There was an old man resting on a bed in the hospital and he had a nurse and few of his family members and friends beside him. I could feel that this man was very kind and made a big difference to society, and at the same time I could feel his pain, as he did not want to die. There was so much more that he wanted to do in life; but could not, because he was sick. He even tried to get up from the bed, but could not because he was too weak. As I watched this man struggle, my heart was crying. The man then asked the nurse if he could have something to eat, but the nurse simply stared at him as she could not gain the courage to say “no”. I could hear the thoughts of the old man, as he said to himself, “I understand, you have already fed me through the tube”. The nurse then asked the man to stop talking as she placed the oxygen pump around his nose and mouth. She started to pump gently so that he was able to breathe. Suddenly, the old man grabbed the oxygen pump with both hands and started pumping very fast as to get as much oxygen as possible because his lungs were no longer responding. As he continued to pump with force, after a few seconds he started to slow down and eventually stopped breathing. Once he stopped breathing, I woke up extremely distressed. Throughout the entire dream my heart was crying. Only after I woke up did I realize that this man was me. I knew, without any doubt that this man was me. I have had many lucid dreams where I have been able to interact with the dream such as ask questions or change the direction. But, this was different. I had no control. I was simply a witness and had to feel every emotion that the man and everyone around him was experiencing. This experience offered me some insights about reincarnation. Everyone knows that they are going to die someday, and many believe that they will be reincarnated. But, reincarnation is only a concept to many people because they cannot remember their past lives. They simply assume that if the masters have discussed it, and it’s written in books, then it must be true. Even for me, up to this point, reincarnation was only a concept. Every experience in our lives creates an impression in the mind. Joyful and painful experiences create extremely deep impressions. This is why, whenever we hear about past life experiences it is often of someone’s death. These impressions are stored in the subconscious mind as memories and carried forward as the soul progresses in lifetimes. I believe that as a protective mechanism, these memories are suppressed. Imagine if you remembered every experience of every lifetime? In this life alone, we are having problems letting go, forgiving, and forgetting. Have you wondered why a certain person is your spouse, parent, child or friend? What is the connection that you share with that person? Why is that person making your life so difficult? These answers are all hidden in the subconscious mind, and can be retrieved. But the question is whether you would like to retrieve these answers. What if the physical or mental abuse that you are receiving from a spouse is a result of the physical and mental abuse that you caused that person in a previous lifetime. Would you like to suffer that pain in a past life regression, simply so that you can understand the cause of your trauma? Or would it be better to make peace with the present situation and respond in the best way you can? Another insight is realizing that death is as important as birth. Why do we grieve when someone dies and celebrate when a child is born? If reincarnation exists, then we can understand that only because one soul had to pass away, was another soul able to be born. As we celebrate the birth of a child, someone is mourning the death of a loved one. And, as we mourn the death of our loved ones, someone else is celebrating their birth. Would you like it if you lost the privilege to have children because someone would not let go of their loved one? With this wisdom we also realize that our lives are temporary. Each one of us will die, and will be re-born. So, why should we take life so seriously? You may have noticed that many people are living as though they will never die. They are always hoarding and accumulating as much as they can, and because of this they do not enjoy the present moment. If we truly know that we WILL die, we would live a life of purpose. We would ensure that whatever we do in this life is going to make a difference, and that every challenge we encounter is not such a big deal, because it will end eventually. This is why you may have noticed that when people are fighting through a terminal illness, they suddenly become wise, humble, loving, and cherish every moment that they have been gifted with. And all this requires is the realization that life is temporary. 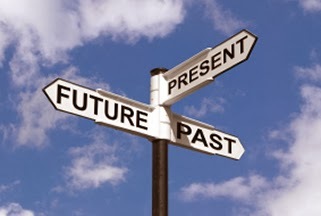 If you would like to experience a past life regression, you do not need to visit a hypnotherapist. All you need to do is meditate to quiet the mind. This may take several months for some people depending on how chaotic and cluttered their minds are. The quiet mind will allow you to question the sub-conscious mind, and it will raise your awareness so that you can experience the past life regression. As a warning, I would like to emphasize that many past life regression experiences can be extremely emotionally painful because the impressions are very deep. Please proceed with caution if you would like to explore this area. Experiencing my death was insightful, but also very painful. At the moment, I do not want to experience any more past life regressions; instead, I would prefer to simply make peace with the present. Very often we are praised for our intelligence or IQ. Corporations and educational institutions accept us based on our intellectual capacity. However, many institutions that we consider higher authorities, do not stress enough the importance of emotional intelligence. The destructive power of intelligence is clearly visible to us. Individuals who lack the ability to listen to their conscience develop weapons of mass destruction, atomic bombs, war strategies, and other immoral innovations. There have been many incidents where extremely intelligent individuals have caused a tremendous amount of sorrow to society. Other geniuses are also unable to manage their emotions and go on a killing spree if they catch their spouse having an affair or encounter unfavorable situations in their lives. We must understand the importance of emotional intelligence, and focus on cultivating it and helping others develop it. We can become emotionally intelligent by practicing self-awareness, self-management, empathy, social awareness, and relationship management. We must become aware of our thoughts, the feelings of others, and consider situations from different perspectives. Eventually, we will realize the power of our thoughts and choose not to ever complete a negative thought in our heads. We can always remind ourselves to watch our thoughts, as thoughts become words; words become actions, actions become habits; habits become character; and ultimately character becomes our destiny. In addition we must also encourage our children to cultivate emotional intelligence so that they can live a life of integrity and achieve “true” success. Early in life, I realized that most of my despair was due to mixed emotions. It became clear to me that I was unable to understand and manage my emotions such as sorrow, anger, anxiety, and frustration. Through the practice of meditation, I was able to maintain a state of peace in spite of the chaos around me. As my awareness was raised, I was able to communicate with others more effectively and consider situations from a broader perspective. Stay tuned for the next article, as I will discuss the negative impact of one of our major emotions and how to overcome it. Bliss withSai is a new blog published by Dino. This is a spiritual blog for the seeker within you. The articles in this blog are all based on personal experiences and will resonate well with those who are already on a spiritual path, and who have moved far beyond doubt, towards faith and surrender. 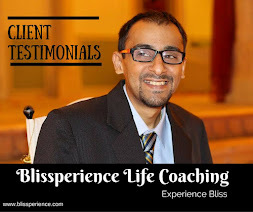 I have decided to name this blog Bliss with Sai, because it is through the guidance of Shirdi Sai Baba that I have been able to overcome all the challenges in my life through the wisdom He has shared with me. 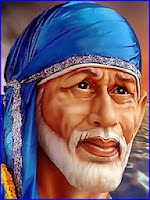 For several years now I have had numerous interactions with Shirdi Sai Baba, through dreams, meditations, and in physical form. I have only shared these experiences with very close friends and family, but today I have decided to share this in public as I believe it will inspire spiritual seekers and encourage them to share their experiences. Many of us have had spiritual experiences but are afraid to share them. This is often because we are afraid of the judgment of others. Sometimes, these spiritual experiences are so strange, intense, and inexplicable, that we have to refrain from sharing it because others will simply not understand. My spiritual journey has been fascinating. Experiences with the unknown often begin with fear, but over time the fears fade away through wisdom, and ultimately transform into faith and surrender. Through this blog I will share the insights that I have received from Shirdi Sai Baba as well as my interactions with Him. The subject of this blog is different from Dino’s Words of Wisdom blog as this is focused more on spirituality, while the other blog is focused on personal development for daily life. For me, the two blogs coincide with each other, because it is only through the guidance of Shirdi Sai Baba (especially in dreams) that all the articles were written. It is often difficult for me to take credit for those articles because the ideas had all come to me during dreams. I hope you will join me by participating and sharing your experiences in the comments so we can grow together and continue to shine brighter every day. Click here to visit Bliss with Sai.